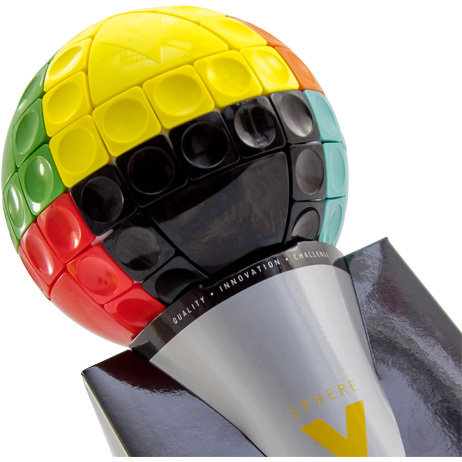 The V-Sphere took the puzzle community by storm in 2017, scoring titles at both the Independent Toy Awards and A' Design Awards. The official UK launch for the V-Sphere took place at the UK Games EXPO, with games and puzzle fans from all around the world excited about the toy's unique, tactile play opportunities. V-Sphere is developed and manufactured by the visionary toy designers at V-Cube. 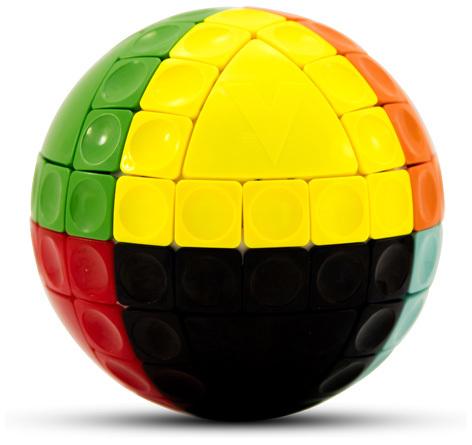 Unlike their vast range of rotating cube puzzles, the V-Sphere can be played with no knowledge of algorithims or puzzle technique - all players need is a little intuition and a bit of practise! V-Sphere connects players regardless of age or gender. Its therapeutic and tactile game play ensures a relaxing yet engaging gaming experience every time. Scramble the tiles and then slide one at a time or whole rows around the circumference of the Sphere - try to get all pieces back to their original permutation. A fantastic travel toy, great for occupying busy hands and keeping kids and adults thinking! Made in Europe to very high standards and provided with a smart display stand. Please tell us what you think of the V-Sphere.